To Tell or Not to Tell–Should Kids Know About Their Parent’s Affair? This past week a reader (who will remain anonymous) posed a really interesting question: Is it okay if a parent tells their child that the reason for the family splitting up is because the other parent had an affair? And going further I would add, is there a certain age in which it’s appropriate to tell this information? This particular child was young when they were told (early elementary school age) and it wasn’t the information per se, but the way in which it was told it sounds like, that affected their relationship with the other parent from that day forward. Now that the child is a teenager, they are suffering from many different ailments–all of which I am certain stem from the hatred of and alienation from that parent. It sounds as though the teen’s taken on the cheated on parent’s campaign of hatred and this has led to parental alienation. A young child will not be able to truly comprehend what an affair is. They are too young to rationalize what is moral, but they can be angry that their family split up–and I think that’s natural. It’s not natural if a child hates their parent because of an affair–this I believe they are getting from the attitude and beliefs of the parent who has been cheated on. Children aren’t born to hate. This is fostered in the child. You can bet that if the parent was supporting a loving relationship with the other parent with the child–in spite of their history and keeping that history out of the interactions with the child–the child would not hate the cheating parent. They’d be getting them therapy, or doing something proactive to help their kids process their issues instead of letting them hold onto that. Kids really do want both parents in their lives. They really do want the issues resolved between their parents. It doesn’t feel good to walk around with a hole in your heart. Nor does it feel good for a child to lash out at a parent when it’s not their campaign they’ve taken on. I do want to add, some parents who have affairs, end up leaving the old family and starting a new one on their own. They do not want to have much to do with their old life and will reject their children. If a child is angry at that parent–that’s warranted. I hope for their sake it will be resolved because being rejected by a parent is damaging to a child. Does telling a child about an affair cause the alienation of that child from a once-loved parent? It can. However, it doesn’t have to. The example I think of is Maria Shriver and Arnold Schwarzenegger whose marriage imploded when it came out he had a love child with their maid. It was spread all over the news and obviously, the children of the marriage know about their father’s affair. And they still have a relationship with him. I give Maria huge credit (I would say “props” but some of my European readers might not understand that vernacular) for fostering and supporting a loving relationship between her kids and their father. She could have really manipulated the situation to her advantage. I think it really comes down to attitude. There are so many couples cheating in Hollywood–who have kids–and their kids do not seem to have issues with this. However, someone who is scorned is bound to get revenge somehow. How many people know couples with children who have split because of an affair? I certainly do. What do you think: Is it alright for them to tell the kids about the affair their ex had? Want to know what I think? Bottom line: NO, unless you think the child might find out. If there’s concern about this happening, it should come from the person who had the affair. This is a tricky area because I do not believe in keeping secrets, but this is really between 2 adults, not adult to child. There are so many emotions that come forth from a person who’s been cheated on that telling a child when a person isn’t coming from a neutral or grounded position can be disastrous. Of course it will taint a child if the attitude of that parent is anger, hatred, and revenge. So many people use their kids as weapons–it’s obvious when you look at the number of custody cases clogging up the courts now. What’s unfair is that a child’s life doesn’t go back to “normal.” They get gypped out of a childhood and instead become a little crusader taking on adult issues instead of being able to just be a kid–just be a kid who loves both their parents. An ironic spin on this is to have the cheater deny it and blame the other parent to the child for cheating on them. Talk about confusing for a kid! Then they’re caught between parents and which one to believe. People do a lot of crazy stuff to protect their egos including distorting and lying about the truth so it manipulates the minds of their children. If this is going on for you, if you feel a need to tell, check in with yourself. Why do you need to? Are you grounded? Are you emotionally wounded? Are you neutral? Will you continue to foster a loving and supportive relationship for your child with the other parent? No matter how much of a schmuck the cheater is, they still deserve to have a relationship with their child. You can think your ex is a schmuck, but your kids have a different experience of your ex–their parent. Allow them that. I’m interested in your comments and opinions on this. If a parent has an affair and a child finds out, do you think it’s natural that a child becomes alienated from that parent and aligned with the one who got cheated on? Why or why not? Do you think a child should know about an affair? Why or why not? If a parent has an affair, the child knows about it and still loves that parent, do you think that says something about the other parent and their priority to support their child’s relationship with the other parent? Okay, another question: Do you think the cheater can alienate their child from the other parent because of their guilt, insecurity, or narcissism? 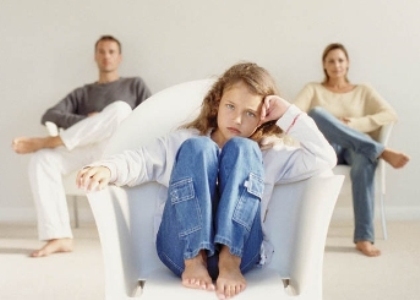 Kids do not need to hear any details as to why mom and dad are divorcing. I have never said anything bad to my kids about their dad. He is their ad no matter what and the relationship they have with him is important too. When kids get older and grow up they figure it out anyway but you do not need to try and get them to pick sides. You have to put your feelings aside and you lids first. Thanks for the comment Susie! I think children should be spared the details of their parents’issues. If the children of a failed marriage want an explanation about why the marriage ended, the parents should tell the children that they were no longer able to make each other happy and they don’t want to bring their children up in that kind of environment. It makes no sense to burden children with parents’ negative feelings. No good will come of it and it just makes a bad situation worse. My first child’s father left before my son was born and I never said a negative thing about his father to him. My son was in his 30s when he finally met his dad and they were able to attempt to build some kind of relationship after all those years with no additional garbage to lift off an already heavy load. That’s a mature way of handling a situation that probably felt very painful for you. I really respect the way you kept your child’s experience of their father separate from your own.